LIGNA 2017 – Thank you for being a part of it! Over 1,500 exhibitors from 50 countries, 93,000 visitors from more than 100 different countries, and 129,000 m² exhibition space – LIGNA is a global event. LIGNA 2017 was a great success, providing you with an important, unique, global industry event. 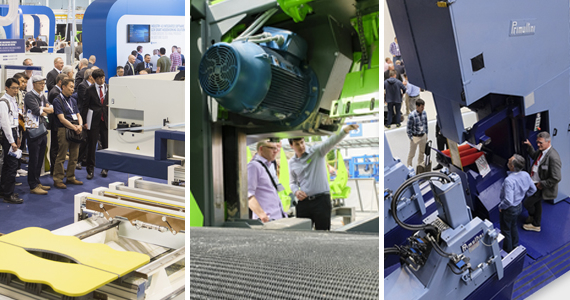 Over 1,500 exhibitors from 50 countries presented the most exciting innovations in woodworking and timber processing as well as opportunities for more productivity. The new LIGNA layout with its clear structure and intelligent special formats contributed significantly to allowing visitors a targeted overview in just a short time. Thank you for your visit! Today we’ll be taking a look back on what distinguished LIGNA 2017. We’re looking forward to seeing you again at LIGNA 2019. LIGNA has become so large that it is impossible to see everything live – but our video and photo impressions put the event’s most important moments into focus. Our exhibitor and product search engine is updated throughout the year and available to you 24/7! Sponsored once again by the Kuratorium für Waldarbeit und Forsttechnik e.V. (KWF).